If you want the post to appear in the “Older Posts” section on the right hand side, add this category to it. A reminder that this weekend is the End of Season Presentation for all teams. This entry was posted in sticky on May 9, 2018 by admin. NPLSC: Get to Know our Club! This entry was posted in sticky on April 16, 2018 by admin. Jets, Galaxy and Hawks into the Cup Final! both of whom are hosting the EBFA Cup Finals. This entry was posted in sticky on April 14, 2018 by admin. The Goalkeeper Training session will run as normal this week and it will be the last session of the season. This entry was posted in sticky on March 26, 2018 by admin. This entry was posted in sticky on March 21, 2018 by admin. Please see below details of QPR Soccer Schools below and the club partner discount code. This entry was posted in sticky on March 5, 2018 by admin. 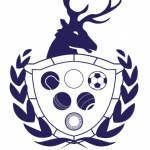 NPLYFC have decided to postpone all SYL fixtures on the 4th March in the interest of player and parent safety. This entry was posted in sticky on March 1, 2018 by admin. All EBFA fixtures for the this Saturday (3rd March have been cancelled). Training at Hampton 4G tonight has been cancelled due to poor weather.